Remove three bolts (5) from idler gear (1). 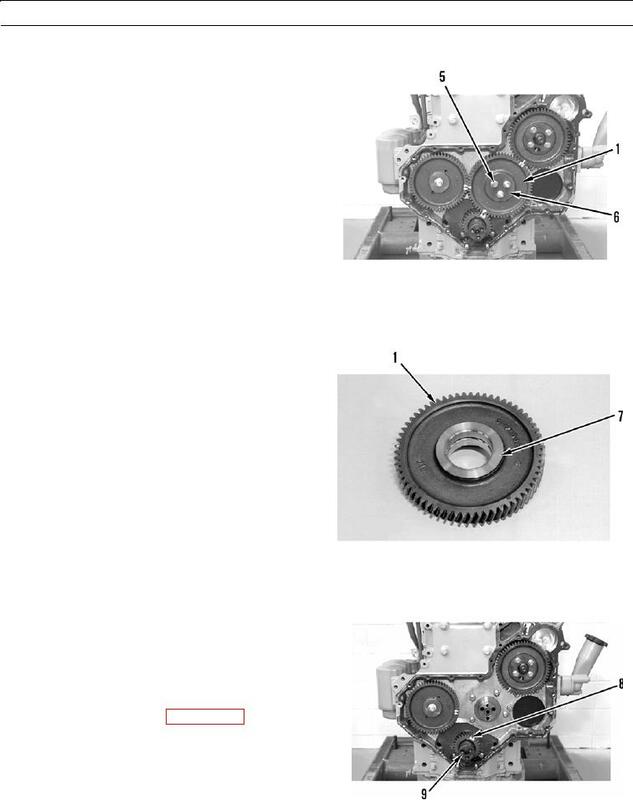 Remove idler gear (1) and retainer plate (6). If puller will not remove bushing, grind off face of bushing and press it out. crankshaft gear (8) from crankshaft (9).